Beautiful Home with Amazing Views. 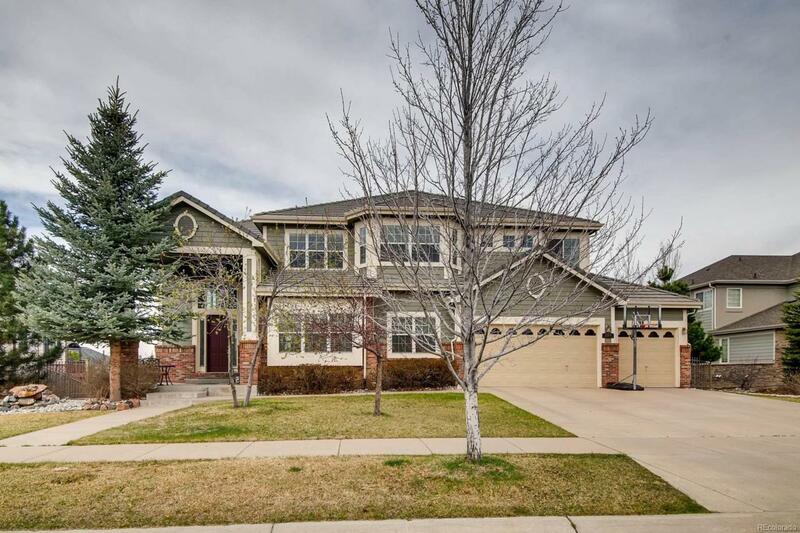 This Home has 5 Beds, 4 Baths, 4687 Finished Square with a 2230 Square Foot Unfinished Walk-out Basement. The Main Floor Features Formal Living and Dining Rooms, Large Family Room with Fireplace, 2 Studies, Bedroom with Full Bath and Gourmet Kitchen with Granite Countertops, Large Island and Double Oven. The Upper Floor Has a Master Suite with 3 Sided Fireplace, Balcony w/Stunning Views, Flex Room off the Master Suite, 5 Piece Bathroom w/Large Soaking Tub, His & Hers Walk in Closets, Loft, 2 Bedrooms w/Jack and Jill Baths and 1 Bedroom with its own Private Bath. Other Special Features Include New Exterior Paint, Cement Tile Roof, 2 AC Units, 2 Furnaces, 2 Hot Water Heaters, 3 Car Garage, Covered Patio, Expanded Deck with Panoramic Mountain Views, Large Fenced Back Yard with Grass, Playset & Garden Area. Just a Few Miles to the Popular Southlands Shopping Center and Easy Access to E-470. Located in the Highly Desired Cherry Creek School District! !